This collection by Romain Jacquet-Lagreze will have your head spinning in a dizzy state of confusion. 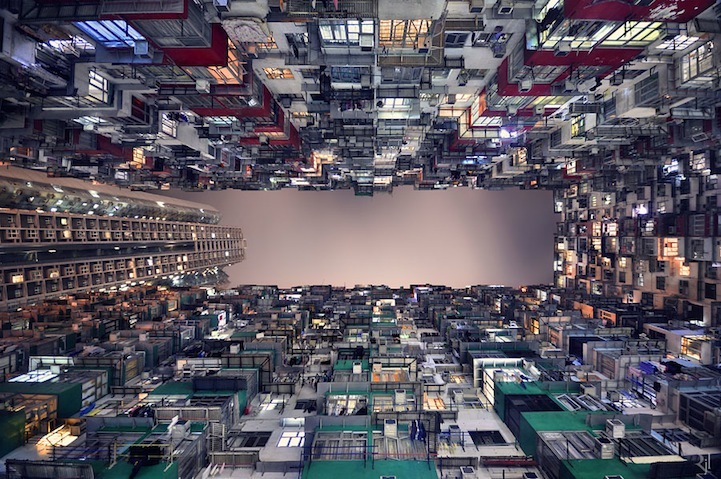 The French photographer and graphic artist created Vertical Horizon as a visual exploration of Hong Kong and it's rapid growth towards the sky. Using a unique perspective, Jacquet-Lagreze presents the ever-growing city in a repetitively graphic expression of its architecture.